In the previous article, we had discussed about some of the most important things that should come under your consideration while starting your first SEO campaign with the main aim of targeting the #1 spot in the search engine results page. In this article, we would continue with some even more important concepts related to link building that you need to understand deeply. We would mainly focus on all the deep details and techniques of link acquisition, maintaining a natural anchor text diversity and would also talk a bit about inner page link building too. How Should You Acquire Links? One of the most important aspects of SEO is link building, whose importance must be quite clear to you till now. But there are some best practices of it which you need to know before you start your first link building campaign. 1) Always try to get links from webpages having PageRank 1 or above, as pages with PR 0 itself have no authority that they can afford to pass on to you. But a very important point to note here is that, PageRank is updated once in a few months and it is also not a very accurate metric to rely upon (in spite of its extreme hype). Try to recall our previous discussions on real and apparent PageRank, to make things self-explanatory. So, it is better to pay attention on other more accurate and reliable metrics like Domain Authority, Page Authority, mozRank, Citation Flow, Trust Flow, Trust Rank, etc. which can give you a much better insight about the authority or popularity of a particular webpage or an entire website. 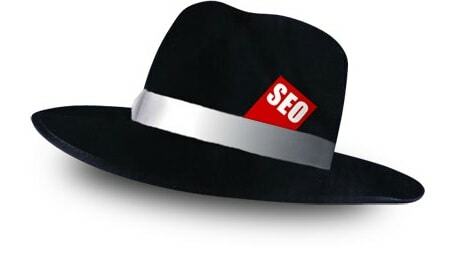 These metrics belong to popular SEO and Marketing companies, like SEOmoz and MajecticSEO. It is always a greed among webmasters and marketers to acquire links only from high authority sites. Though it is something which is obviously very important, still getting links only from high authority sites can make your site seem suspicious in the eyes of the search engines. So, you should try to maintain a proper blend of links coming from sites having both lower, medium (similar to yours) and higher authority sites. 2) Sometimes just getting high authority links is not enough, as you need to put your maximum importance in ensuring that you get links from websites which are relevant to your own website too. Getting links from completely irrelevant sites won’t help you much in increasing the authority of your site. Suppose you have a website about “flowers” and you get a link from a site selling “dog foods”. So, will that have any kind of relevancy at all? Will that link help the search engines to understand anything about your site or how important you are? Why would a site selling dog foods even bother to vote or reference your site and even if it does, it doesn’t matter much to the engines (in terms of increasing the authority of your site). 3) Do not ever make the mistake of indulging in any black hat techniques. Don’t try to gather the extra courage of making a clever script which will go on adding links to your website automatically. Over the years, the search engine bots have become smart and sophisticated enough to understand these kind of automatic link patterns and won’t think twice before penalizing you or permanently banning you from their index. Always play fair and do everything naturally as it is meant to be. You can’t achieve anything big in a fortnight, so wait patiently and do your work with efficiency and you will surely achieve the results you deserve in due time. 4) Also try to get links from websites which are updated frequently and not from the ones which get updated once or twice in a month. The more updated they are, the quicker and stronger signals they can pass to your site as search engines like Google always love websites with new and fresh content. Another important thing that needs to be taken special care of is the no. of outbound links a particular website has. Websites with less outbound links (links to other websites) pass a higher link juice than websites which have already linked (and passed its authority) to too many other websites. So, these are some of the most essential things that must be well-kept in mind while acquiring links from any website. These are obviously not the thumb rules of link building, but some of the most basic and fundamental principles which should remain same forever. The most basic idea is to make things as natural as possible in the eyes of the search engines. Your main aim should be to optimize your site better for higher visibility, and not wrongly manipulating it or gaming the system. This is one of the most important aspects of link building and something a bit risky too (as a slight mistake in it can make you pay the price). You need to perfectly understand what it actually is and how it needs to be treated, otherwise you can get into real trouble. As already discussed, “Anchor Text” is nothing but the clickable text on every hyperlink (linking one webpage with the other), but it has got a massive importance in SEO. In spite of the fact that anchor text can provide a way for the visitors to understand what a particular link (and the webpage it links to) is all about and jump straight to it, it also provides important signals for the search engine robots too. The proper usage of the anchor text can prove to mean a lot for the search engines and can be used effectively by them while ranking webpages. It is quite obvious that if you are able to acquire links having the exact anchor text as your target keywords (for which you want to rank), then you are surely going to pass a very strong signal to the search engines. But not every time, as in the real world (where people naturally link to you) it is quite unnatural that each and every single link you acquire will have anchor texts which will exactly match with your target keywords. You may also try to play clever by mixing the exact match anchors with some partial matched ones. But fortunately the search engines are clever enough to understand that you are trying to wrongly manipulate the search results and can consider penalizing your site. So What Should Be the Natural Anchor Text Distribution Formulae? Seriously, there is no such formula that you need to memorize. At least the search engines have never mentioned of any such formulae to achieve a natural looking anchor text profile. Something that should look natural will always look natural and something that’s built with the main aim of manipulation will always be in that way. Though there is no such natural anchor text distribution formulae, but still we can make an idea of what it should be (based on the expert analysis of several successfully ranking backlink profiles). There should be a proper mix of the exact match keyword, some partially matched ones, some phase match keywords, some branded keywords, some generic ones (like click here, visit this site) and some naked URLs. Exact Match Anchor Texts – Try to keep an anchor text profile with exact match keywords not more than 15%. If the total no. of links on your site are quite less, than this percentage should drop even below 10%, to make your anchor text profile look the most natural. Partial and Phase Match Anchor Texts – Some anchor texts should be partially matched with the target keywords and some should contain partial phrases of it. When people naturally link to you, they always don’t need to link to you with your exact keywords, they can use a variety of partial matched and phase matched texts. Try to keep these anchor texts between 15-20% to stay on the safer side. Brand Anchor Texts – There can or will be some people who admire your brand name and would like to link to you with your brand name or mixture of your brand name and your target keywords. Typically this proportion should be something less than 20% too. Generic Keyword – There will be quite a lot of sites which would link to you with anchor texts like click here, visit this site, download now, see here, etc. This is an absolute natural practice which should or will happen most of the times. Many people completely ignore this category of building links with generic anchor texts and fall into trouble later in their progress. Typically this proportion should be something around 20%. Naked Titles and URLs – Quite a lot of anchor texts will look very ugly with just the naked title of your page or the long URL of your page itself, but to make things look natural you need to focus on these ugly-looking anchors texts too. There can never be any strictly written formula for this and you also should never follow any. These percentage figures are just given to make you understand what the proportions should be and you obviously have the full freedom to make your own variations whenever you want. Another mistake that many newbies tend to make is that they only focus on building links to the homepage of their website and completely forget that they have some valuable and resourceful inner pages too. This is certainly a big mistake and must be avoided at all costs. It doesn’t seem natural at all to the search engines if all links start pointing to a single page (most often the homepage) of your website while you have some equally important inner pages too. You should distribute your links uniformly between all pages of your site and should also link the home page of your site from the inner pages so that the link juice can flow between all pages uniformly. It is obvious that the homepage can have more links than the inner pages, but certainly not all. It has been observed quite a few times, that sites which have too many links pointing to their homepage and very few to the other inner pages of their site had much worse rankings than their competitor’s sites which had a much natural looking backlink profile then theirs. So these are some of the most important factors that you must learn, understand and practice while building links for your website. Obviously following all these techniques doesn’t guarantee your position on the top of the search engines, but it surely can increase your chances a lot better than your competitors. Always remember to keep things as natural as possible in the eyes of the search engines. Don’t aim for manipulation, always aim for optimization. Also hold your patience and wait for the time which is required for the results to come. You cannot expect the results to come and kiss your feet from the very first day. Remember that people with dedication, determination and patience always wins the race. This entry was posted in SEO and tagged Anchor Text, Link Acquisition, Link Building, SEO on October 6, 2013 by Aritra Roy.